Located next to the bus station just off the R30 ring road and by the canal there are two areas to park, each catering for around 20 camper vans. One is on the left the other on the right of the road R30. 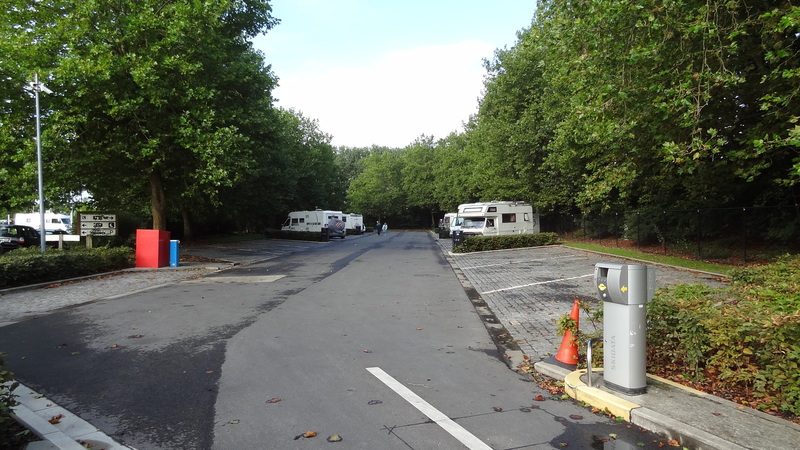 The one backing on to the canal is more suited to smaller vans as the pitches are quite small whereas the other side of the road the pitches are very large. Each pitch is serviced by EHU and each area has its own service point. Fresh water is 50 cents for an undetermined quantity. Barrier operation with a payment machine adjacent to the bus depot.